Looking for printable number charts? Download our free number charts below available in 4 different color themes. We have created these free number charts so that they can print perfectly on a A4 size piece of regular printing paper. Numbers are printed with a cool fun bubble cloud theme. 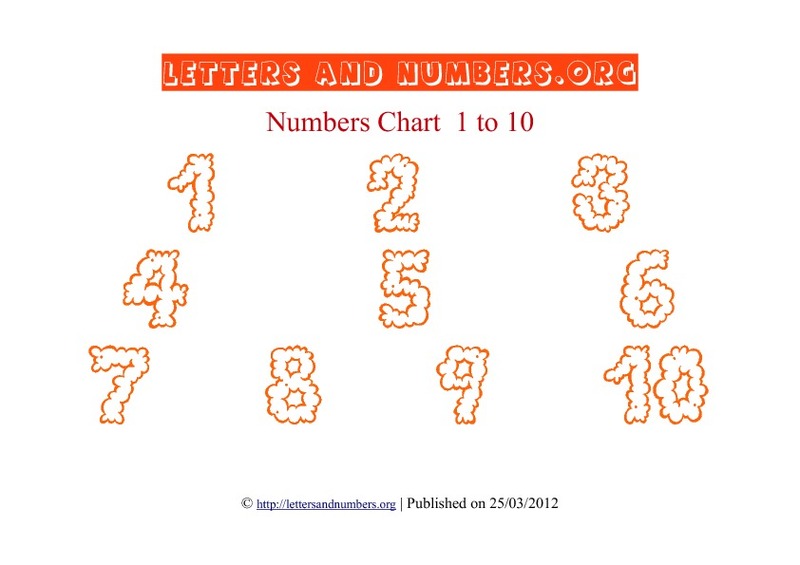 Feel free to use our printable charts with these numbers at home or in your classroom. Instructions: To print our free number charts, please click on the link below the number chart. You can download the number chart pdf file which will appear in the new window, or print the number chart from your web browser. These printable number charts have been created for you for free so please enjoy! Did you like our number charts? We hope you did! 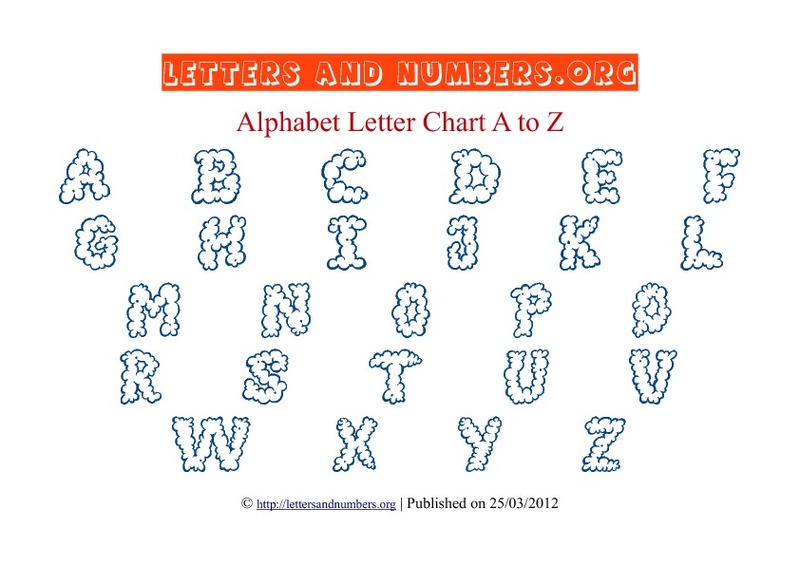 Please also have a look at our free alphabet letter charts from A to Z available in printable PDF format. Get your kids involved with fun number activities starting at an early age. Learning the numbers is important in every child's education.